Immanuel United Reformed Church has called Rev. 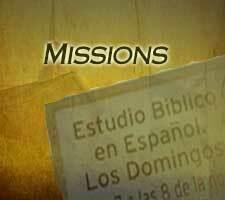 Ernie Langendoen to work in the city of Comayagua, with the goal of planting a church. Immanuel United Reformed Church has been ministering to the growing number of migrant workers who labor in Niagara's vineyards, orchards, nurseries and greenhouses each summer since 2001. Each year, Immanuel URC hosts a week of Vacation Bible School in July. VBS is open to children from the community ages 4-12.